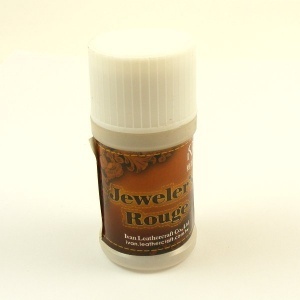 Jeweller's Rouge is a polishing compound made from a mixture of fine abrasives and greases, formed into a solid stick. 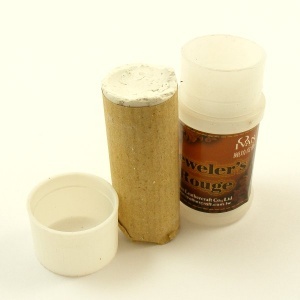 Used in combination with a sharpening strop, it's fantastic for perfecting the sharp edge on your leather knives. If your knife is fairly blunt, it's best to sharpen it on either a very fine traditional sharpening stone, or the finest side of our sharpening block first, and then use a strop with rouge to perfect the cutting edge. Once your knife is sharp and working well for you, you can just freshen the edge with a strop and rouge every now and again! To use, rub the rouge stick onto the leather surface of your strop, and then holding your knife at a very shallow angle, slide your knife repeatedly over the strop, drawing it away from it's blade edge each time.